Q. How do I evaluate a website to determine its credibility? Credible websites can be excellent sources of information for your research paper, provided that your assignment allows you to use websites. 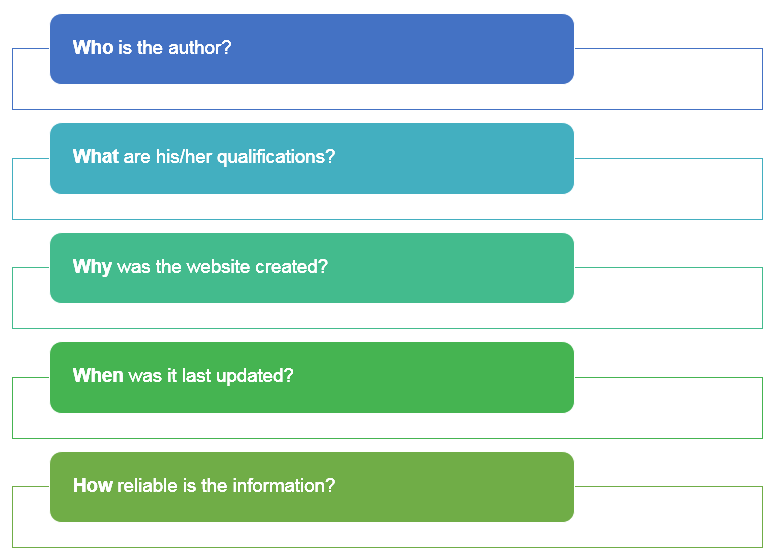 Find additional information with our guide on identifying scholarly information, whether it is in print or electronic format. Ask your professor or a librarian if you're unsure about a website's credibility.